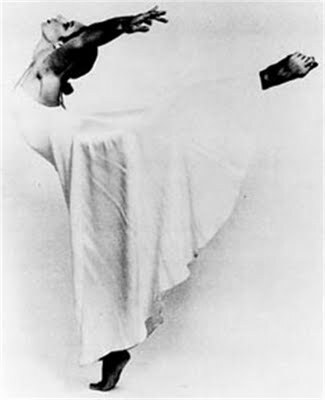 L. Martina Young is a native Los Angeleno and a recognized participant in the Los Angeles dance world from the 1970’s through 1990’s. Informed by a politic of community-focused engagement as well as an awareness of the distinction between careerism and living an aesthetic life, Martina joined the Nevada Arts Council’s Artist-in Residence Program, spending months at a time in the rural desert regions and communities of Nevada. In 1987 she accepted an invitation to serve as Director of Dance at the University of Nevada, Reno. Though resigning from her tenured position in 1994, she maintains her studio loft, The Lighthouse/Studio 5 O 2, in the downtown arts district of Reno—an intimate space for classes, performance, lectures, and other communal affairs. 2012 marks 25 years of life and work in the sagebrush state, where she was honored with the 2005 Rosemary McMillan Lifetime Achievement Award and the 2008 Governor’s Arts Award for Excellence in the Arts. Pursuing transdisciplinary research on a poetics of the body, Martina earned her PhD in Comparative Mythology and Depth Psychology from Pacifica Graduate Institute in 2007. Languaging a sustained attention to the ways we are this body, her doctoral dissertation, “Where Grace May Pass: A Poetics of the Body,” weaves mythology, psychology, modern poetics, somatics, and philosophy to address the body on its own terms and as the primary speaking subject—a poem always in the making. Reading the current mytho-historic times against ancient mythic texts, her most recent essay, “Grace in the Age of Obama,” is available through her website: www.theaestheticbody.com. Embarking on her work 100 Gestures: a poetics of the body, an ethics of compassion — a crystallization of her life’s work to date — Martina continues to connect the theoretical dots between discourses, foregrounding what dancers have long instinctively known through a decisively different mode of being: dancing.